If the output from an inverting amplifier is used as a phase inverter output, it can be sent to a second inverting amplifier to invert the phase again for the second output. The problem is that the second amplifier has an amplitude that is larger by a factor equal to its gain. 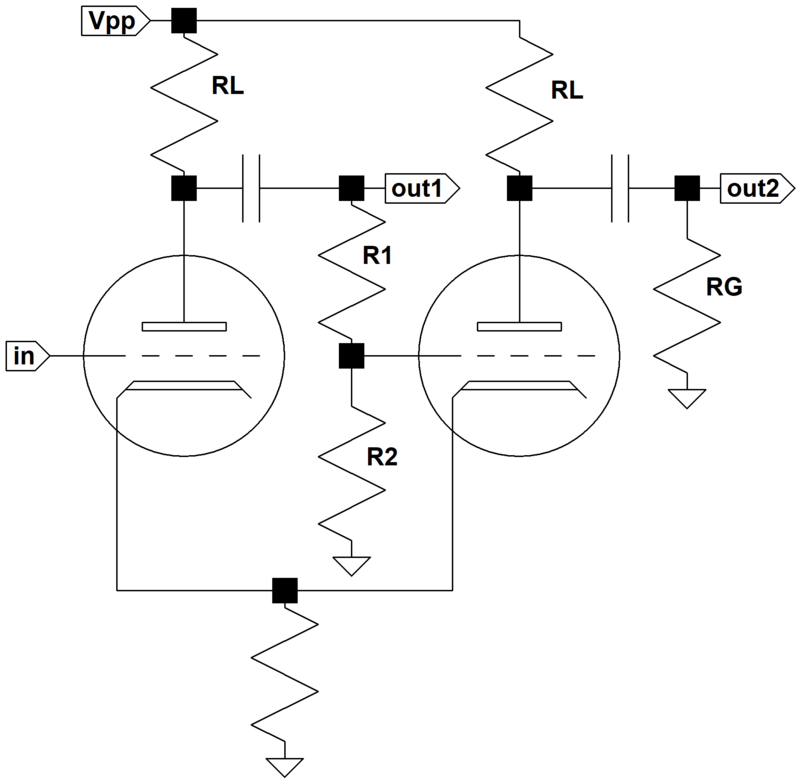 To compensate, an attenuator can be added to its input to reduce the signal amplitude by the same amount. This is the basic approach used by the paraphase inverter. Voltage attenuation is applied to the input signal of the second amplifier through the use of a voltage divider formed by the resistors R1 and R2. The calculator computes their values. It also calculates paraphase voltage gain.